A chance to gain ground on the teams above tonight for Anthony Johnson and Bernard Morley’s side – as they welcome bottom club Nuneaton Borough to the Swansway. Victory this evening would take the Blues level on points with Spennymoor and Kidderminster in 3rd and 4th place in the table respectively with a game still in hand on both. Three points would also leave Chester FC just a point behind league leaders Chorley. A 2-2 draw against 5th placed Brackley Town on Saturday may prove to be an absolutely pivotal point. Dan Mooney’s brace of stunning goals – the second in the fifth minute of stoppage time – meant it became ten matches unbeaten for the Seals. 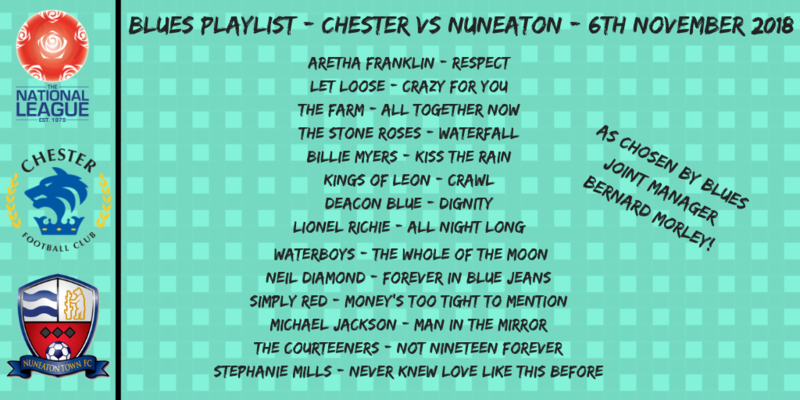 Nuneaton Borough sit bottom of the table – but the positivity around the club suffered a significant boost late last week when the takeover of the club was completed by Nick Hawkins. A defeat at home to Leamington was the start of his tenure on Saturday, but the long term outlook at their club looks a lot brighter. 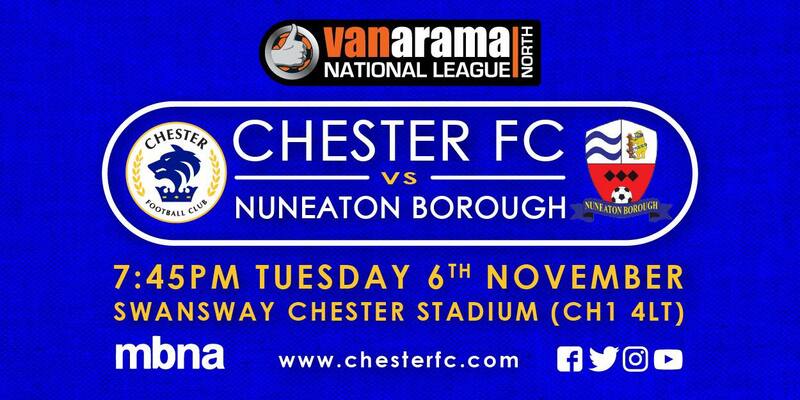 Kick off tonight at the Swansway Chester Stadium is 7.45pm. Our Sat Nav postcode for the stadium is CH1 4LT. Can’t make the game? Well the Blues have got you covered this evening!